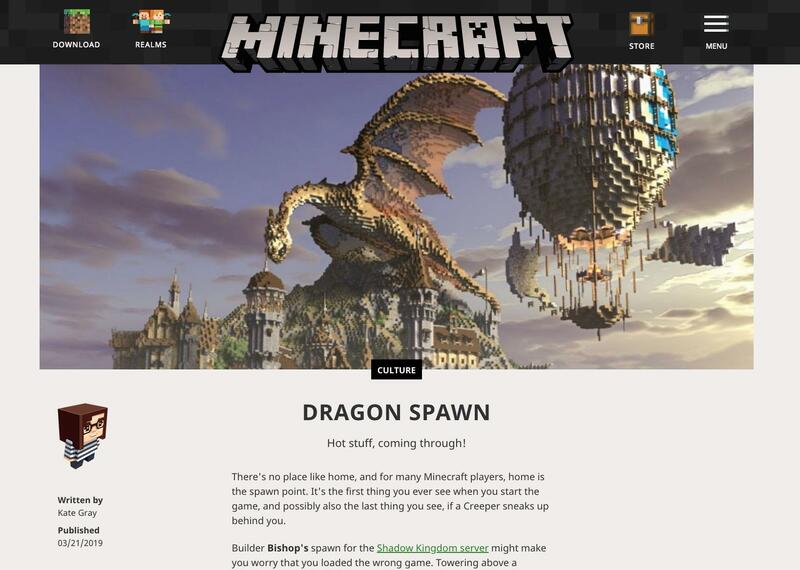 I woke up today to some lovely news that our Towny v3.0 spawn made by @JST had been featured on Minecraft.net! We're so proud of this build, and it's personally my favorite spawn on the entire network. Everyone, please check out the article here! While you're here, be sure to also diamond, favorite, and comment on Planet Minecraft! Introducing: Towny v3.0! Coming March 2nd, 2019! Ever since the original Towny v1.0 server, it has been our goal to provide the best Towny experience to our players. Our Towny servers have been the most popular, successful, and addictive line of gamemodes that we've ever released. In fact, if we never expanded Shadow Kingdom into Towny, we probably wouldn't be around today. So to begin this announcement, we would like to thank our community and staff for the continued support throughout these last (nearly) 4 years, because it is due to these users that we have the ability to provide this server to our community. With the recent Minecraft updates, a server reset was inevitable if we ever wanted to officially support 1.13(.x) and later versions. Instead of a simple reset, we decided to rebuild our Towny server from the ground up, taking into account the small details. Our goal with Towny v3.0 was more consistency, user-friendliness, and maximum enjoyment for the player. The Towny system that we will use on Towny v3.0 is much more realistic and friendly to players who do not have large income. We've reduced many prices, such as Town creation, so even new players have more of a chance to create their own civilizations and not have to rely on a mayor they may not trust. Currently, Town creation is reduced by 50% to $15,000 and upkeep starts at only $40! Yes, $40! Upkeep will be plot-based using the following equation: # of claims * 40. We can't wait to see how this new system is taken advantage of by the community! To celebrate the December holiday season and to bring in the new year at SK, we’ve decided to throw our biggest sale yet! Starting from December 15th and ending January 5th, all ranks and rank upgrades will be 75% off! Whether it's for you, or a loved one, now is the perfect time to grab the rank you've been looking at for a very low price. You can visit store.shadowkingdom.org or the link from the store up top! Make sure to use the correct username, punctuation and all when you order! Towny PlayerShop Rent Prices Increased!